We are based in Coalville, Leicestershire and cover most areas across the UK. We are able to repair a variety of machines either on site or at our factory. We are one the official Lorch UK service centres. We offer repairs, servicing and calibration for a variety of machines including, but not limited to: Camarc, Lorch, Fronius, Esab, Murex, Thermal Arc, Kempi, Migatronic, Butters, Miller, Parweld, Hypertherm, Euro MIG, Cebora and many more. 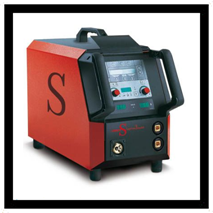 Our Highly qualified staff can help repair all types of welding machines. We offer technical support and information to customers regarding equipment and set-up problems and any other problems you may encounter.